We developed our LS series yard tractors with the discriminating landowner in mind. Engineered for added durability, comfort, style and precision, our LS series yard tractors all feature fabricated or reinforced decks and a heavy-duty chassis. The efficient, integrated washout port and optional mulch kit make these models ideal for demanding and extensive use. Briggs And Stratton Endurance Engine- This engine features premium air filtration, chrome plated valves, super finished bearing surfaces, and an oversized cooling fan for extreme durability and superior peformance. 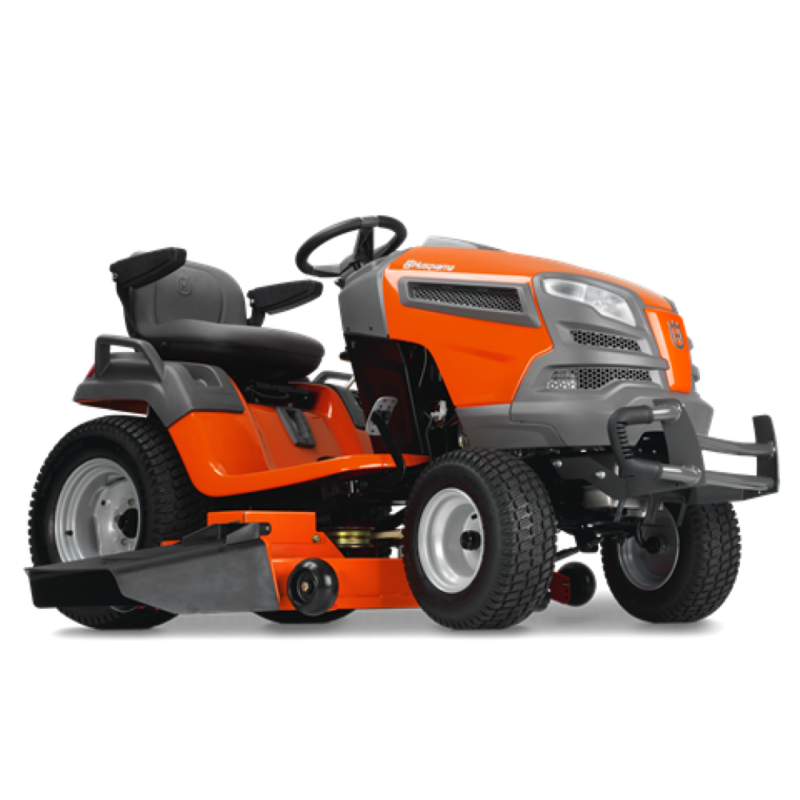 Hydrostatic Transmission With Locking Differential- Features a hydrostatic transmission that produces a smooth, variable forward and reverse speed and a pedal operated locking rear differential for increased traction while cutting on slopes and wet grass. 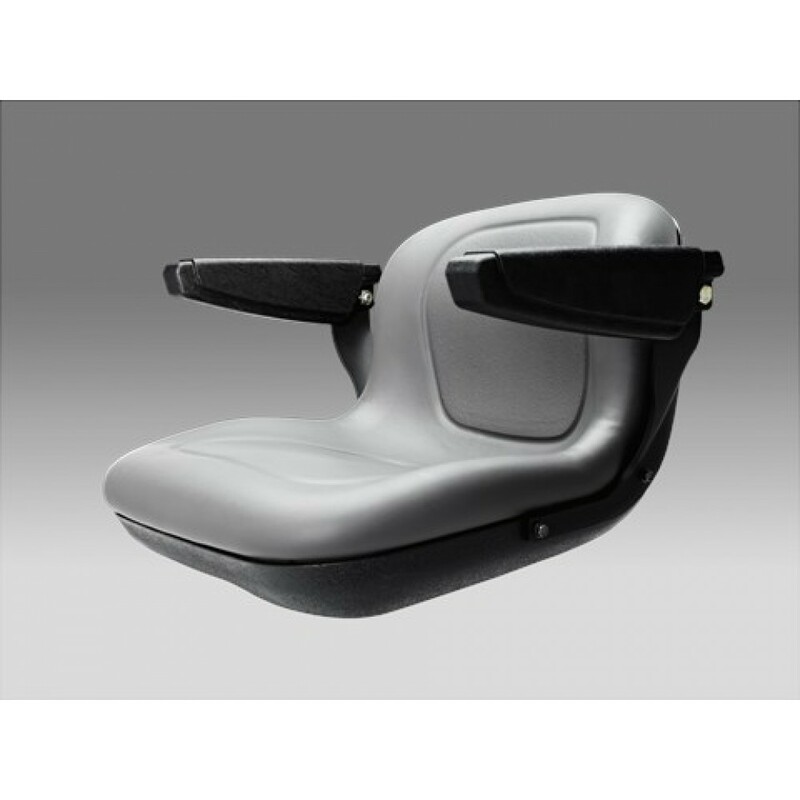 Ergonomic Design- Provides a comfortable drivers position with easy to reach levers and controls. The wide step through, adjustable 15" high back seat with arm rests and comftorable grip steering wheel provide first class ergonomics. Electric Blade Engagement- Electric Blade Engagement Easy engagement of cutting blade/s; simply pull the switch on the control panel. Step-through- Ensures comfortable and easy mounting and dismounting. 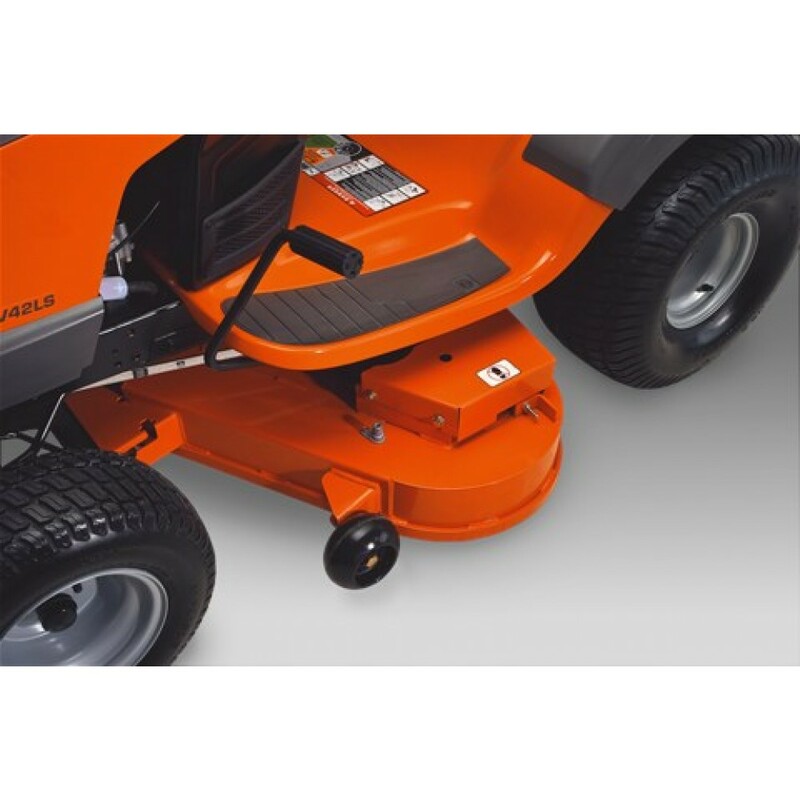 Fender-mounted cutting height adjustment- Fender-mounted cutting height adjustment Easy accessible cutting height adjustment for improved ergonomics. The spring-assisted cutting deck makes adjustment easier. Ergonomic steering wheel- Comfortable steering wheel, angled for optimal driver’s position. Durable cutting deck- The heavy-duty fabricated cutting deck features twin sheets of 11 gauge steel for added support for spindles and increased overall strength. 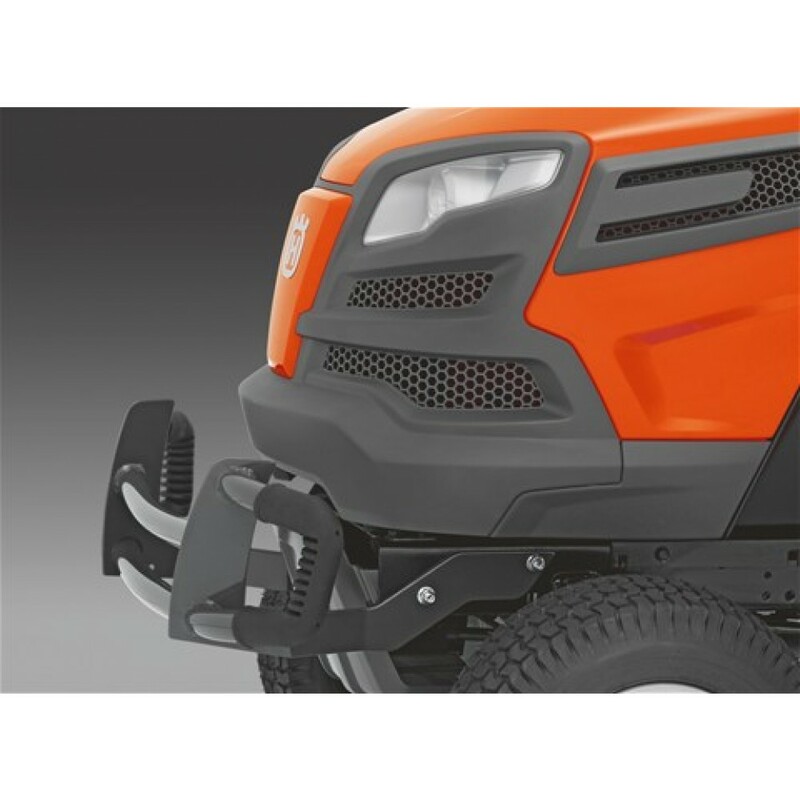 Cruise Control- A convenient, efficient function that ensures the tractor keeps as even speed, even if the lawn is undulating or sloping. Deck Wash Port- Connect your water hose to the port to clean the underside of your deck. Heavy Duty Spindle- The rigged blade spindle assembly features cast aluminum construction and greasable ball bearings. Fuel tank volume (with reserve)- 4.0 gal. Tire- size, front 16 x 6.5-8"
Tire- size, rear	23 x 10.5 -12"
Turning radius- min	18 "